For those of you who have been living under a rock, or who generally pay little heed to a certain gun-wielding spy, a new James Bond film was released recently. Naturally, Madame Tussauds got in on the act, wheeling out not one but six waxy Bonds for gullible tourists film enthusiasts to enjoy. 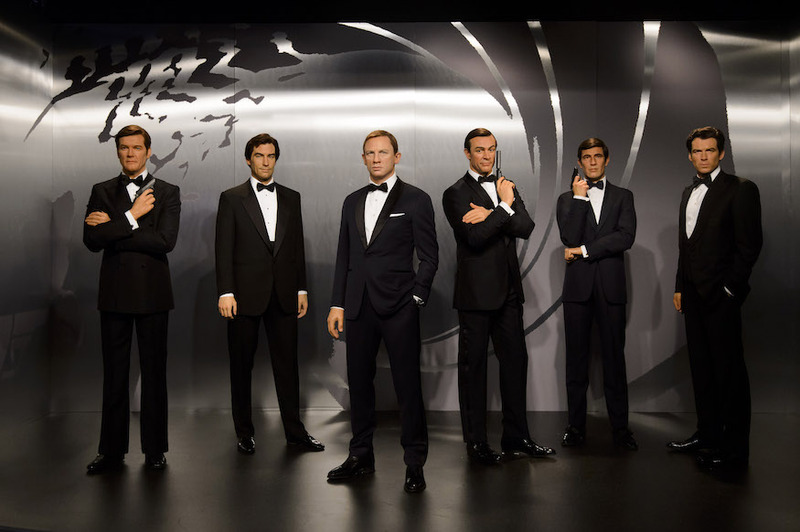 The permanent Daniel Craig figure has been joined by wax likenesses of Sean Connery, George Lazenby, Roger Moore, Timothy Dalton and Pierce Brosnan in various Bond-esque poses. The public are invited to pose with their favourite Bond from the 24-film franchise (yes really, only 24). Apparently the figures took a team of 20 artists four months to complete at a cost of £150,000 each. It's almost like Madame Tussauds saw an opportunity coming or something. Anyway, if these overpriced candles take your fancy, they're at Madame Tussauds in London until 30 November, after which they'll be off globe trotting around other Madame Tussauds destinations around the world. Spectre Reviewed: Should You Bother With Bond?